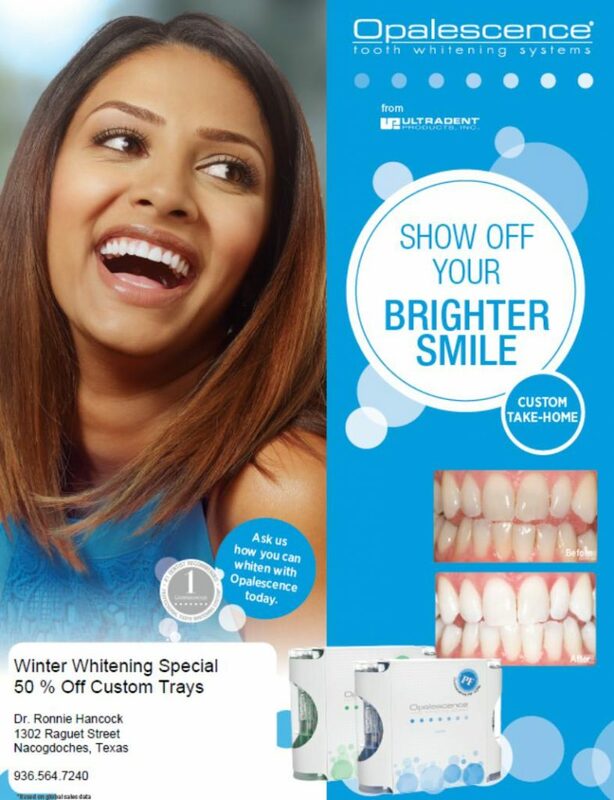 Dr Ronnie Hancock is offering 50% off professional full mouth teeth whitening trays and Opalescence bleaching gel kit to all of his current patients*. Become one! Dr. Ronnie Hancock is honest and knowledgeable. We would love to have you in our dental practice family! We accept all insurance policies. If you do not have dental insurance, please don’t worry. We accept care credit financing and only recommend treatment that is needed. Dr. Hancock will take time to discuss your options with you. In addition to teeth whitening, Dr. Hancock provides many other cosmetic and restorative dental procedures. Professionally made custom teeth whitening trays will last you a long time and can give you wonderful results to brighten your smile. 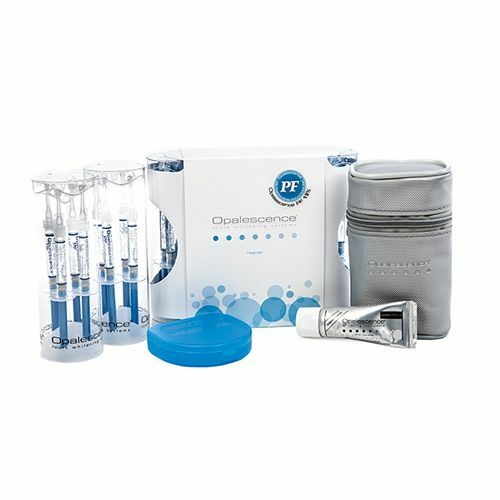 This offer is a great way to get your custom trays and Opalescence starter kit at a very reasonable price. Also, the end of the year is a great time to make sure you have used your expiring FSA or HSA dollars! Make an appointment and come by our dental office behind Memorial Hospital on Raguet Street in beautiful Nacogdoches, Texas! You might just get that WHITE CHRISTMAS of your dreams! We look forward to seeing you soon! *Patients must have current xrays within the last 2 years or update with new xrays and exam. Offer good through January 31 2018.